With his physician, Dr. B.A. 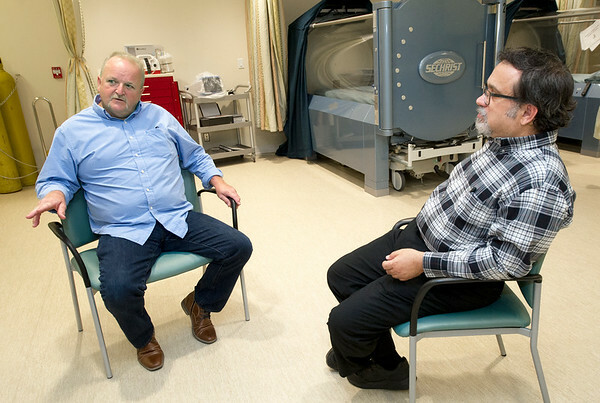 Pontani, present and pictured right, diabetes patient Jim Cummings, left, talks on Tuesday about the hyperbaric treatments he underwent to heal a diabetes-related wound on his foot at Mercy Wound Care and Hyperbaric Medicine. Pontani is the medical director for Mercy Wound Care and Hyperbaic Medicine.